If you are one of those aspirants who are on the constant look out for opportunities, you have landed just at the right place. Careeradda.com is a career and education portal that provides you all the insights and accurate details on the various entrance examinations. It is a one-stop solution for all those who are bracing themselves up for various competitions. So, whether you are looking for the right information about the competitions in real time or looking for admission notifications or want to get exam related materials, all you need to do is to reach the best career portal. We are known for our expertise in career-guidance. What Exactly You Get Here? We deal with furnishing a complete and the updated information about the various competitive examinations. You can get the latest notifications on the government jobs, banking sector, central and state examinations etc. We are committed to shape your future by guiding you in just the right direction with precise information of your interest. We provide all the detail and correct information about the latest competitions, study material, practice papers etc. We are data-enabled and technology driven career portal comprises of dedicated professions that have years of expertise in guiding students and shaping their careers. 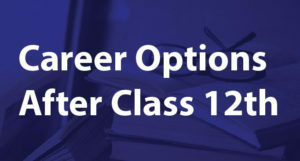 With many years of experience in the field of career counseling, we know what it takes for students to prepare. We provide all the requisite materials required to kick start their studies. They can expect to get to know the latest trends of the questions. They can get practice papers, question papers, proper examination guidance and every possible help that can make their preparation to the competitive examination easier and better. We are primarily focused to provide you detailed and correct information about the latest examinations. Our portal is a hub of activities on everything an aspirant needs. We provide questionnaire and our team of experts help not only students but to their parents, policy makers, academicians, educationists etc. to make an informed decision in the right direction. If you are working hard to fare better in the different examinations, seek our expert help, we will keep you moving in the right direction. We are driven by data and our team of experts makes use of right products and tools. We recommend and enable the students to take just the right decision and help them fulfill their dreams. We are one of the most sought-after and best career portals. Thulasi Ram – M.Sc. (Biotechnology), VIT University. Ram holds a Master’s degree in Biotechnology and has an academic, industrial and research experience. He’s a blogger and passionate writer by day and a reader by night. A Civil Services aspirant, now mentors aspirants of UPSC through his posts. His fields of interest are Life Sciences, Environment, Finance, Public Administration. 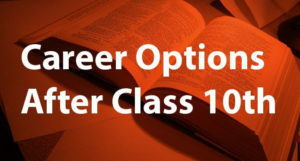 A young mind with enthusiasm to cater to the needs of students in shaping their career has started careeradda.com. Through his innovative skills and research in the field of education, he helps students in accessing right information at right time. In his free time, he read books and loves to explore the world. 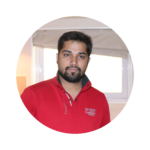 Shashwat Shukla is an IT professional and Robotics engineer. He is an alumnus of IIIT, Allahabad and holds M.Tech. degree in Information Technology. He worked as an Assistant Professor at Amity University for 7 years and has an academic and research experience. 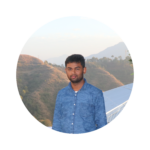 Shashwat has taken an initiative in the field of education with his experience by starting Career Adda to guide students to prosper and shape their career. He is an excellent orator, writer and reader. He likes to visit new places during his free time. 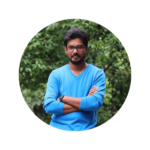 Sudhakar pursued post graduation in Biotechnology and had gone through different layers of experience in his academics and post academics. At last he came to know in today’s Noesis-based society, didactics is a key resource, which secures the future of individuals and society in huge. Even when he did his masters in Science, he was passionate about his mentoring skills and has been polishing himself in competitive field especially at functional grammar. He always sees himself at student level and soothes his students with a unique 360 degree technique. He has joined his hand in carreradda.com to rail the aspirants’ path aright in all terms. In his free hours, he learns all sort of works around him and always engages with different sorts of work.